Asian stocks saw gains in afternoon trade on Tuesday, with stocks in Japan leading in the region. 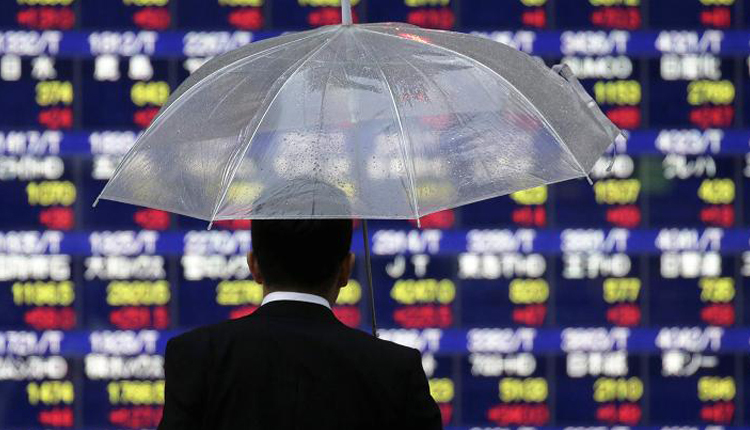 Japan’s Nikkei 225 jumped 2.59 percent in afternoon trade, while the Topix gained 2.2 percent. Shares of Fast Retailing rose around 3.3 percent while chip company Renesas Electronics surged 16.26 percent. Mainland Chinese markets were higher by the afternoon. The Shenzhen component rose 1.337 percent while the Shenzhen composite advanced 1.368 percent. The Shanghai composite also went up about 0.7 percent. South Korea’s Kospi gained 0.44 percent, as shares of industry heavyweight Samsung Electronics and chipmaker SK Hynix jumped more than 2 percent. LG Electronics gained more than 3.7 percent. The ASX 200 in Australia recovered from its earlier dip to go up about 0.3 percent in afternoon trade, as the sectors mostly rose. The energy subindex gained 1.2 percent as shares of oil companies advanced. Santos was up 1.42 percent, Woodside Petroleum advanced 0.61 percent and Beach Energy surged 2.42 percent. Markets overnight on Wall Street were tepid, as investors considered the possibility of a trade deal being struck between the U.S. and China. Officials from Washington and Beijing will continue talks this week with a focus on intellectual property. Axios reported on Sunday, citing two administration officials, that U.S. President Donald Trump’s advisors have informally discussed holding a summit with Chinese President Xi Jinping next month at the Mar-a-Lago, Trump’s private club in Florida. That meeting could take place as soon as mid-March, the report said. That report comes after Trump said last week that a meeting between him and Xi would not happen before an early March deadline. If a trade deal is not reached before the deadline, additional U.S. tariffs on Chinese goods will take effect. That deadline could be moved, however, a White House official told CNBC last week. “I think the most likely scenario is a deal with no more tariffs being imposed going forward,” David Cui, head of China equity strategy at Bank of America Merrill Lynch, told CNBC’s “Street Signs” on Tuesday. “There’s a possibility they keep existing tariffs imposed last year for a while to monitor performance, but I think (it is) highly unlikely there will be more tariffs imposed. It’s also possible to delay the negotiation for a couple of more months to nail down some of the details. I think the least likely scenario is a … complete breakdown of the negotiation,” he added. The U.S. dollar index, which tracks the greenback against a basket of its peers, was at 97.054 after seeing a high around 97.1 yesterday. The Japanese yen traded at 110.59 against the dollar after seeing an earlier low of 110.64. The Australian dollar was at $0.7075 after touching an earlier low of $0.751. “The US dollar is on fire,” said Kathy Lien, managing director of foreign exchange strategy at BK Asset Management in a note. “Investors drove the greenback higher against all of the major currencies in a move that took the euro, Japanese yen and Swiss Franc to their lowest levels this year,” she said. Oil prices gained in the afternoon of Asian trade. The international benchmark Brent crude futures contract rose 0.81 percent to $62.01 per barrel. U.S. crude futures advanced 0.69 percent to $52.77 per barrel.